This groundbreaking version of James’ 1898 horror novella is presented by the internationally celebrated, New York-based, and Obie Award-winning theater company The Builders Association, founded by UCSC Theater Arts professor, Marianne Weems. 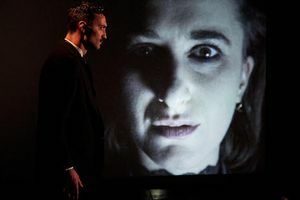 The production employs clever stagecraft, haunting media design, and seductive storytelling to defend the sanity of a woman, while holding the audience under her candlelit spell. Tickets will go on sale in mid-September at ucsctickets.com. Limited number of seats for each performance. Purchase in advance to guarantee admission. Tickets are not guaranteed at the door.